Situated on the lush green banks of the river Periyar, adjoining Dr Salim Ali Bird Sanctuary also known as Thattekad Bird Sanctuary in Kerala,, the Periyar River Lodge is an ideal getaway for nature lovers, bird watchers or just about anyone who needs a break from the humdrum of urban life. 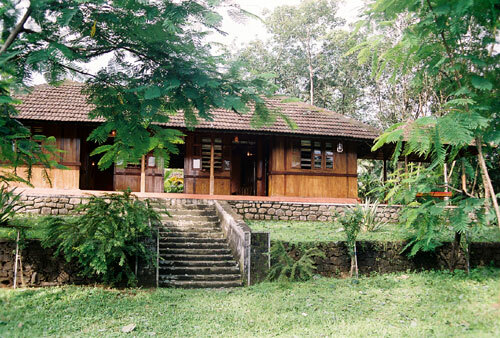 Designed to synchronize with the ethnicity and traditional style of Kerala architecture, this serene retreat, built largely of teak wood, offers spacious guestrooms with a large comfortable lounge as well as sunlit verandahs that present an unhindered view of the river and the forest beyond on the opposite bank. 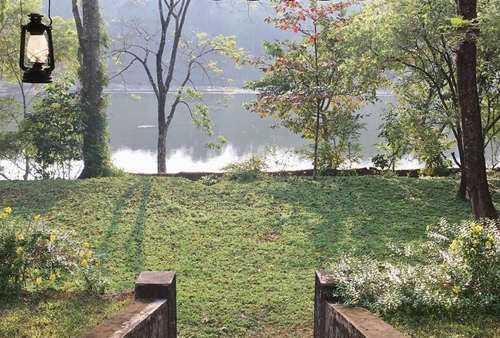 Shown below is the view of the Periyar River in front of the Lodge. 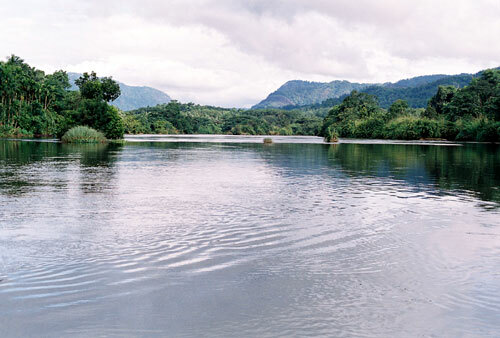 As Kerala's largest and longest river, the Periyar is the state's source for not just drinking water and hydroelectric power, but an inspiration for many a poet and writer. The Thattekad or Dr. Salim Ali Bird Sanctuary, named after the world-renowned ornithologist, the late Dr. Salim Ali (1896-1987), is just over one and a half hours drive from the port city of Cochin(60 Kms). 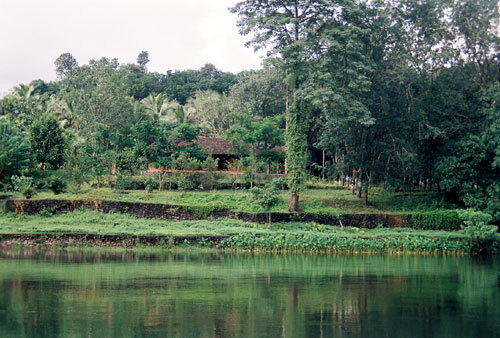 Dr Ali, often called the "Birdman of India," described Thattekad as the “birders paradise” with its teak, mahogany and fruit-bearing trees that are home to nearly 270 species of birds. 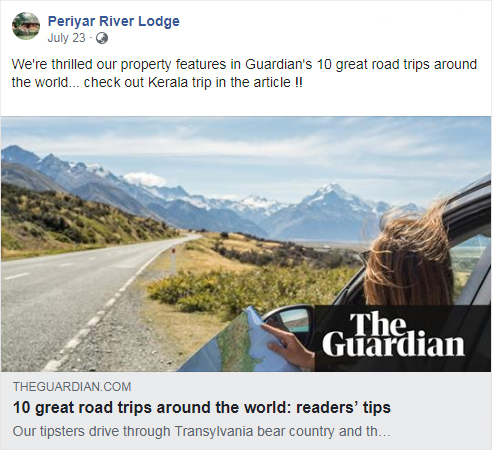 Located in the midst of such tranquillity, we at the Periyar River Lodge hope to impart to our guests an unforgettable experience with this impressive connection with nature and untainted vision of rural Kerala with our personalized and high standards of service. Thanks so much for the hospitality, the amazing food, advice and for arranging everything perfectly! This place is very special, feels so relaxing and so much in time with nature. Looking forward to the guided tour to the bird sanctuary tomorrow ! 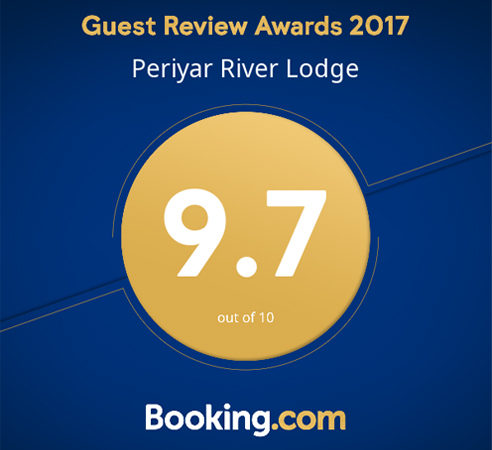 When I come back to Kerala I want to visit Periyar River Lodge again. All the best! Thank you very much for giving us such wonderful days. Service - excellent; food - fantastic and plentiful. The surroundings are ideal to have a very close contact with true nature. Thanks again for everything to Luigi, Eldhose and Lissy. An absolutely delightful stay. Charming host. Luigi, Eldhose and the master chef Lissy made our stay so special and unique. So a huge thank you to all of you. We had the most wonderful bird watching experience with Gireesh and saw the rare Sri Lankan frogmouth and Black Bazza. Amazing everything amazing !! Wonderful relaxing retreat after busy Cochin. Enjoyed every moment. The food was terrific and always plenty of it. Thanks to Luigi for arranging our boat trips, bike riding and everything else. He made our stay relaxing and easy. Thanks to Eldhose and Mrs Lissy for all the delicious food. We will leave here a couple of kgs heavier. An amazing experience for my wife and I , we loved this place. Thank you. What a special place. Shining views, beautiful birdsong and truly special architecture. Luigi, you are a gracious host. The food was delicious ( although I’d take more spice, despite my children). What a shame we are here for only one night. I would love to retreat here for a few days. Swinging on the bed and listening to the lullabies. Thank you. This is an extraordinary place where we discovered many animals and birds. We felt very special in your beautiful lodge. Thank you for taking care of us like you did, we felt more than welcome. The excellent cook made us discover wonderful recipes of Kerala. What else to say than it was a dream. Thank you. What can i say? It is simply divine.The house, the space, the countryside, the staff. I can think of little that’s more perfect. Thank you. With its beautiful serene setting, this place is ideal for nature lovers. Wish we had discoverd this little gem earlier and spent a few more days.